The iDEN Media Downloader is the first enhanced application that enables you to load pictures and videos from your iDEN compatible phone to your computer. 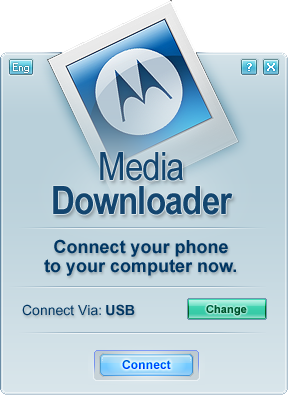 Media downloader is intended for iDEN phones that incorporate the My Pictures or Media Center feature. 1. Works on Windows 98, Windows NT 4.0 (service pack 4 or later), Windows 2000, Windows ME and Windows XP. Will this work with a Rzr v3c?? I hope this is the one I've been looking for. Thanks for the post!